La gourmet® is committed to help protect our planet by producing products that promote a healthy lifestyle while helping to preserve the environment. La gourmet® “Love Our Planet” campaign is a choice that La Gourmet has taken to focus on products that are Eco-friendly. Made from high quality food grade stainless steel that is non-reactive, toxin free, non-leaching, unlined and clean tasting. Vacuum insulation technology keeps beverages hot or cold for 6-12 hours. Unbreakable Stainless Steel interior and exterior will stand up to the demands of everyday use. *Extra thick gauge stainless steel body. Enjoy your favourite beverage without worrying about scalding your fingers. 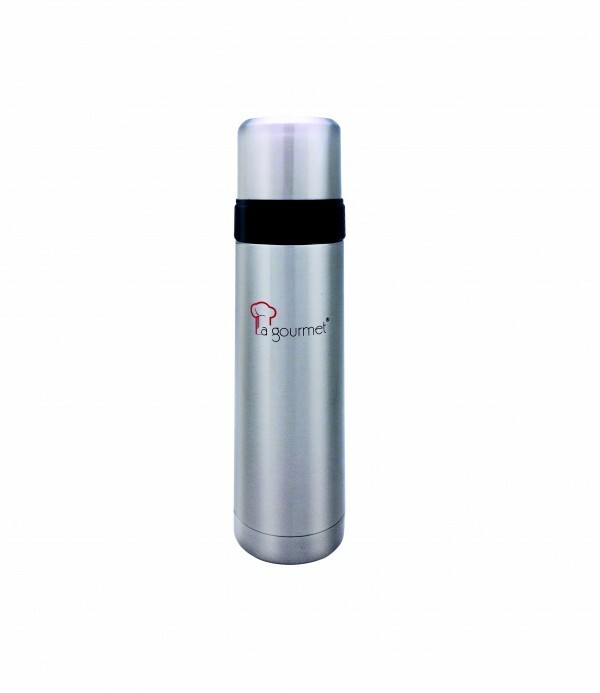 Flask stays cool to the touch with hot liquids and is condensation-free with cold. The large opening makes for easy filling and pouring. It also fits ice cubes without trouble.